We are a passionate group of e-learning professionals with proven expertise in project management, educational design and development. Thistle Meadery is a producer of a range of boutique Handmade Meads, consisting of over two dozen ﬂavours of this intoxicating irresistible alcoholic beverage. 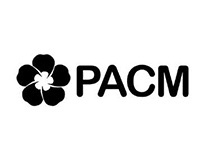 PACM is a vertically integrated design, construction and specialised service provider to defence, government, mining and commercial clients Australia wide.